UNPO: Somaliland: International Jurisdiction as an Alternative Way to Gain Recognition? Somaliland: International Jurisdiction as an Alternative Way to Gain Recognition? After being unsuccessful in seeking recognition by the international community for decades, Somaliland is planning to resort to international law. Somaliland officials, as well as legal experts, are of the opinion that the Somaliland case stands a very good chance of having the International Court of Justice decide in their favour, especially given the fact that it fulfils the Montevideo criteria and that Somaliland-Somalia negotiations to settle this question have miserably failed. The de facto state of Somaliland has opted to explore legal options to gain their long-awaited international recognition as an independent sovereign state which includes taking their case to the International Court of Justice (ICJ), the primary judicial body of the United Nations (UN) headquartered in The Hague, Netherlands. According to Horn newspaper, the court settles legal disputes submitted to it by states and provides advisory opinions on legal questions submitted to it by duly authorized international branches, agencies, and the UN General Assembly. 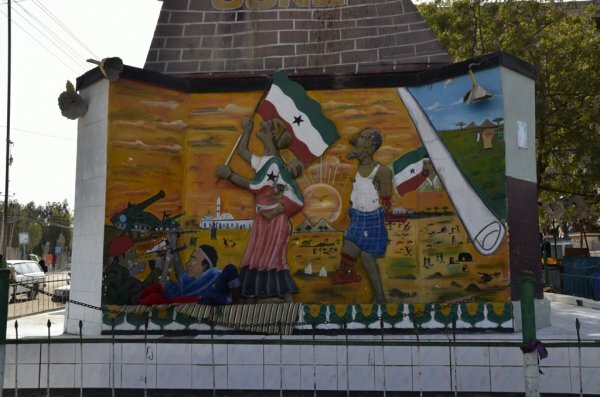 Somaliland's quest for recognition is a quarter-of-a-century old; and these days the government of the small nation looks to be tired of waiting for the international community to recognize it as sovereign state and have decided to push matter to the legal arena. In his address to the joint session of parliament at the beginning of the year , President Ahmed Mahmud Silanyo told lawmakers in Somaliland that his administration was prepared to pursue legal remedies to his countries long-awaited international recognition. The Somalilanders believe that they have a good legal case and that it would benefit them to seek international legal arbitration. The history of Somaliland is rather complicated. According to local elders, the nation has always been an independent entity in the Greater Somalia Region. For one, Somaliland or the British Somalia as it was once called was never a full colonial state for the British, they argue. They underscore that the country was under British protectorate, an arrangement where a dependent territory is granted, some degree of autonomy and independence to run its local affairs save foreign policy and international relation matters. Regardless, the territory gained its independence in June 26, 1960 under the assumption that it will join the Italian Somalia to the South. Somaliland preceded Italian Somalia in gaining independence. For brief stay, around 5 days, the territory existed as the state of Somaliland there by making the union with Somalia a union of two sovereign states. This appears to be the basis of Somaliland's drive to explore the legal option since the territory has to establish that it is a state to even have the ICJ consider its request and the legal substance that is right to self-determine. Saad Ali Shire (PhD), Foreign Minister of Somaliland, told The Reporter in an exclusive interview that his government has good legal case for self-determination since what they are asking is to leave the union that they have entered wilfully. "We were an independent state when we forged the union and all we want to do now is leave this union," Shire said. Furthermore, the minister also argued that the strength of his country's case is much re-enforced when one looks into the fact that the quest for independence is a popular quest of the Somaliland people. "It is not a decision passed by politicians; rather it is decision that was reasserted by the people in the reconciliation conference of Burao in 1991 and again in the referendum on the country's constitution," he argued further. Apart from that, the massacre that Somaliland people suffered under the Somali central government especially towards the last decade of the 40 years old union is another strong ground for Somaliland to be a sovereign state. Shire is careful to assert that Somaliland is a not a region that want to secede from a country; rather a country that wants to leave a union which it has opted to join voluntarily. According to legal experts The Reporter talked to the case of Somaliland could well qualify to be one of the unique cases in the ICJ. For one, the court entertains requests coming from territories which have a state capacity. Hence, he argued that accepted and entertained the matter by itself be construed as a positive signal for the Somaliland's recognition. He further remembers the case of Northern Rhodesia where the ICJ rejected the case for it was not recognized as a state and the precedent set by that decision. Shire also argues that the case of Somaliland is going to be a unique case and studies have been conducted pointing to that direction. Nevertheless, another most important factor that would enhance the legality of the Somaliland's request for recognition, according to Shire, is the fact that it has fulfilled all the necessary requirement of sovereign statehood as proclaimed by the Montevideo Convention signed in 1933 in Uruguay which defined the rights and definition of a state. Nevertheless, the legal avenue was not priority number one for Somaliland to gain its recognition. It has tried various ways and exerting its soft power in its strategic partners. Apart from that, they have also tried to engage their neighbours to the south Somalia in hope of achieving a negotiated separation. Formal talks between Somaliland and Somalia finally kicked-off 2012 in London. The talked went on for nine rounds until it finally failed due to alleged lack of commitment by the Somali side, which Shire said was reflected by the composition of his delegates who come to the meetings. "They [the Somalis] chose to send Somalilanders who are living in Somalia to talk to our delegates; that defeated the whole purpose of Somaliland-Somali talks," Shire explained.